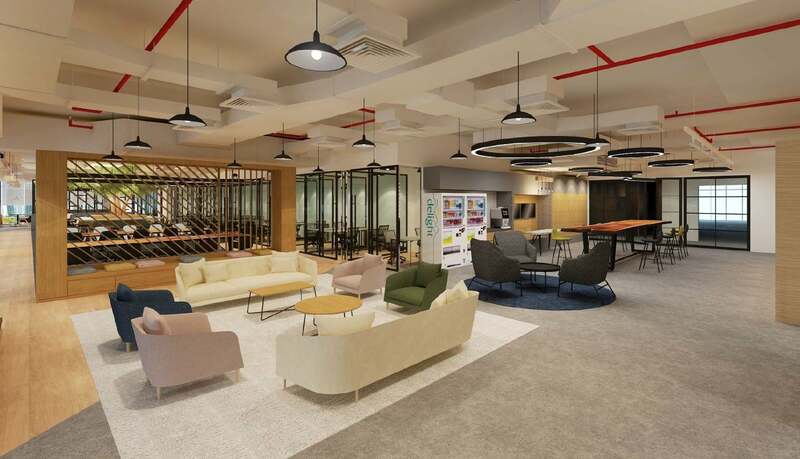 Having built a thriving business over the last decade, the co-founder of Duplays is now embarking on a new entrepreneurial pursuit with nook, a co-working space dedicated to the health and fitness industry. If there were a secret to breaking into the sports industry, it might be too naïve to think that organizing a pick-up game of ultimate frisbee could lead to a business boasting upward of 130,000 registered members, raising more than US$1.2 million of outside investment, alongside expansions into other markets and business verticals. However, this statement sums up a decade for Ravi Bhusari, who co-founded his Dubai-based sports league business, Duplays, with Davinder Derv Rao in 2007. Founded as a community for expats by expats, Duplays has grown its customer base by offering affordable and organized amateur sports opportunities, while shouldering the burden of registration, communication, and scheduling. Its strong market traction did not pass unnoticed by regional investors -namely Wamda Capital and BECO Capital, but Bhusari notes that he and his co-founder were keen on not stopping at just that. Duplays is currently going through a transition stage by moving away from a pay-to-play sports services (events management) model, to a platform model that will help empower others to actualize their sports interest. “This means continuing to build our technology offering to make playing sports easier, but rather than just connecting the community to play in our own managed sports leagues, we want to make it easier for people to book sports facilities via our app and website,” Bhusari adds. “We are trying to build Booking.com for sport, focusing initially on our home market of the UAE, and the growth market of KSA.” According to Bhusari, Duplays is currently servicing only a fraction of their membership base with its weekly leagues, which has opened an opportunity for future growth, by connecting their users with more sports facilities. In this, Bhusari adds, lies the company’s unique propositionbuilding a true platform to connect sports enthusiasts (demand side), with access to third party and internally developed sports facilities (supply side), thereby providing a seamless user experience. Nook is located at One JLT in Jumeriah Lakes Towers. Source: nook. When asked about the main lessons he has grasped from three most critical moments in Duplays’ growth –i.e. raising capital from outside investors, focusing on the Kingdom of Saudi Arabia (KSA) as a growth market, and being amenable to change- Bhusari’s replies make it clear that he has taken the time to reflect on all of his entrepreneurial pursuits so far. “On the investment front, most entrepreneurs aspire to achieve a certain level of success or market traction in order to scale their business, and investment is key for that to happen,” Bhusari says. “We have been fortunate to have supportive and patient investors who have championed us. For entrepreneurs, the key lesson to consider is not to rush to accept the first investors who express an interest in your business. What is important is to build a relationship with these people, and they will be with you for the long haul.” “On the KSA expansion side, the key lesson is patience,” he continues. “Tapping into this market is not something you can do from the comfort of your Dubai office. Business is always relationship driven, but even more so in KSA. KSA is a unique, fascinating market and you have to put in the time on the ground to assess the opportunities and build relationships with key partners- the Dubai experience does not easily translate into Saudi.” And as for being open to change? “On the change side, business in this region is much faster paced than other markets,” Bhusari notes. “Be open to change, and adapt as conditions alter. Do not be set in your ways, and pivot where possible if your product-market fit isn’t working. Don’t be overly in love with your idea, if your customers are not."